We came across Nanako, who works at a sushi restaurant. 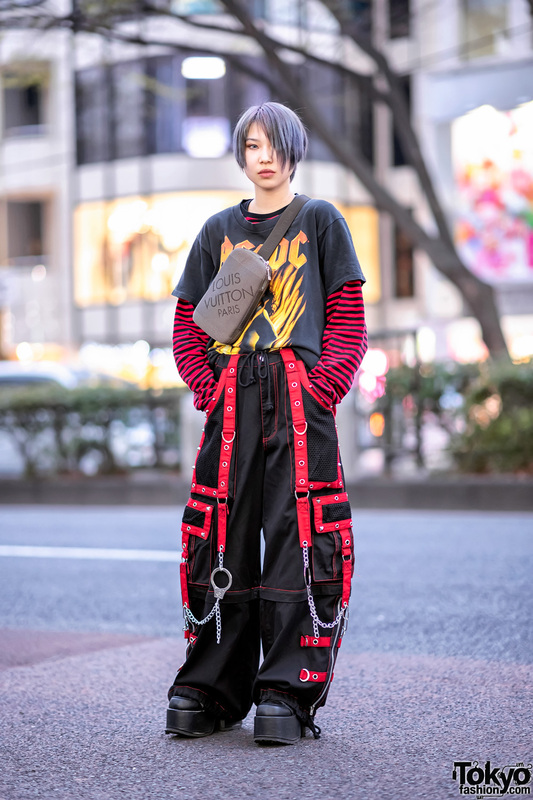 Her red-and-green outfit caught our attention while walking around Harajuku. She wore a vintage bright red double-breasted coat over a green printed hoodie with white drawstring ties. 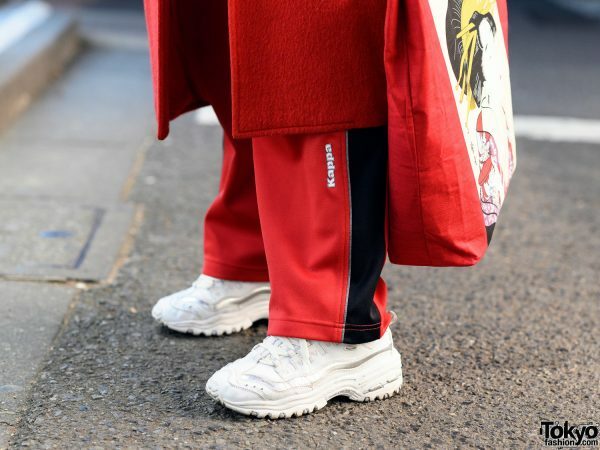 Nanako also wore a Hanes top and Kappa red track pants with contrasting black panels on each side. 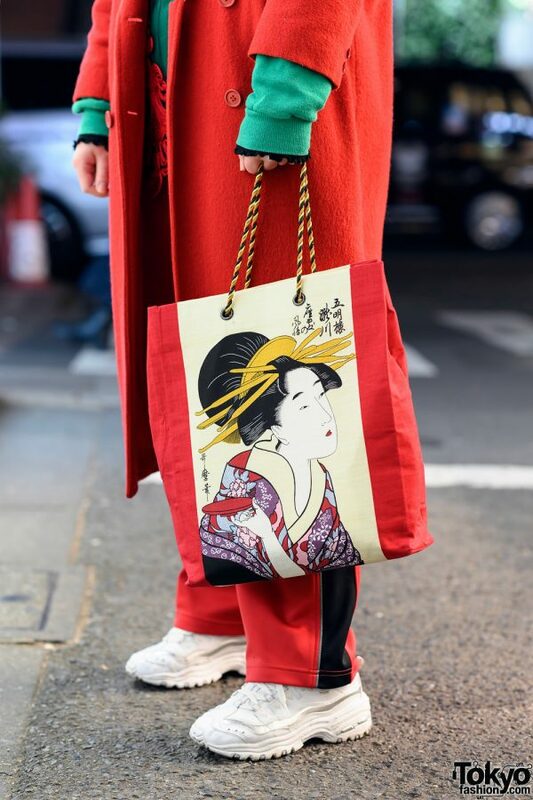 She carried a vintage Japanese graphic print bag and wore Skechers white sneakers. Red lips and sunglasses finished off her look. Nanako enjoys shopping at Jouetie, Kinji, and Chicago. She also loves listening to music from The Elephant Kashimashi. Follow Nanako on Instagram.